The Chauvet Ovation F-95WW delivers a beautiful soft flat field with high-quality glass optics. Ovation F-95WW is built to work on its own and jointly with the larger Ovation F-165WW. 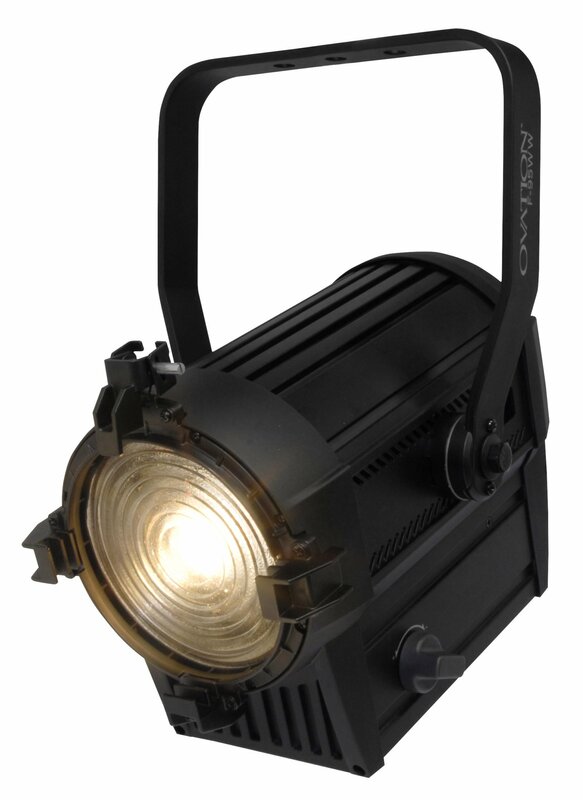 A massive zoom range of 21° to 83° and a beautifully soft, warm white wash with high CRI make it a versatile replacement for aging six-inch Fresnels. A virtually quiet operation and smooth 16-bit dimming control make it a perfect choice for theatrical and/or studio applications. Manual override for dimming and a manually adjustable zoom allow you to add a beautifully soft light where needed.